The growth of online fashion retail as a global trend continues, as customers increasingly enjoy the benefits of free, no-hassle returns when their purchases prove to be not to their liking – be that for reasons of fit, design or buyer’s regret. However this also presents online retailers with a challenge; how can they stop the more unscrupulous consumer from wearing an item once or multiple times, only to then return the item with the clothing tag in place for a full return or exchange? Conventional clothing tags are small, unobtrusive designs which can easily be tucked inside the garment, pockets or in other ways hidden whilst being worn. 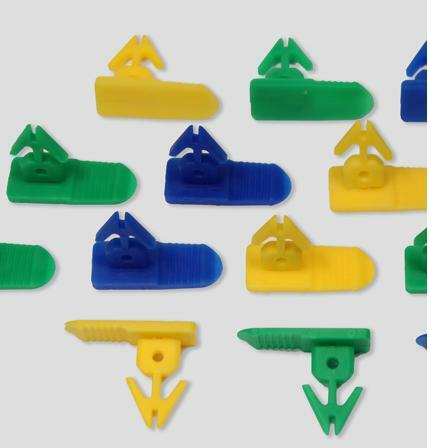 Additionally, tags are generally attached with simple, low-cost ball ties or other plastic fasteners which are easily purchased online and replaced by buyers themselves. 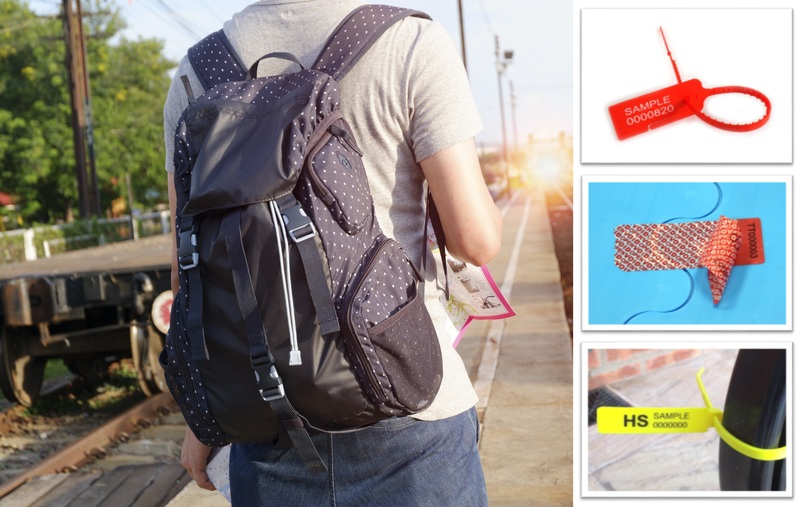 Retailers are increasingly deciding to despatch online items such as clothes, hand-bags and other garments with true security seals such as the Universeal TabLOCK seal, UNI416 or UNI414 security seal. Security seals feature sophisticated tamper-evident locking chambers which are resistant to attempts to open the seal without destroying the seal, preventing its reinstatement. 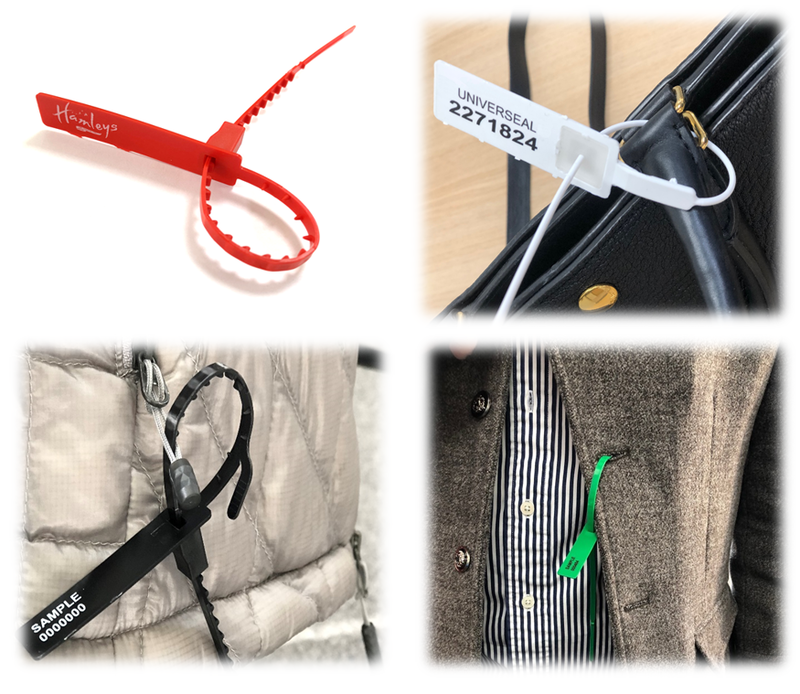 Universeal security tags feature large and prominent paddles which can be custom-printed and branded with your logo and text to convey your brand identity and advise users that a garment cannot be returned if the tag is removed. The security tag can then be sealed through prominent garment or handbag buckles, loops, button-holes or other features in such a way that it is not possible for consumers to realistically wear or use the item without first removing the security seal from its prominent position. Using pull-through security seals as branded clothing return tags in this way serves to provide online retailers with a security check not available with standard clothing tags. It also acts to discourage unscrupulous purchasers who may be tempted to otherwise return items for which they are not legally entitled to a refund. It therefore helps online retailers to provide legitimate buyers with the option to return items with which they are genuinely unhappy, but prevent those looking to gain ‘something-for-nothing’ from taking advantage of no-hassle returns policies. Universeal is a manufacturer and distributor of a wide range of security seals, security labels, tamper-evident packaging and identification fasteners in logistics, retail and across industry. Please give us a call on 01829 760000 or email us [email protected] to discuss your security needs with us. Universeal UK supplies a wide range of specialist tamper-evident carton, crate and pallet security products which can give you an edge in the protection of your supply chain and delivery of product to your customers. Our new Snap 'N' Secure product provides an ingenious and innovative method of securely encasing and protecting pallet crimps used to secure pallet straps. 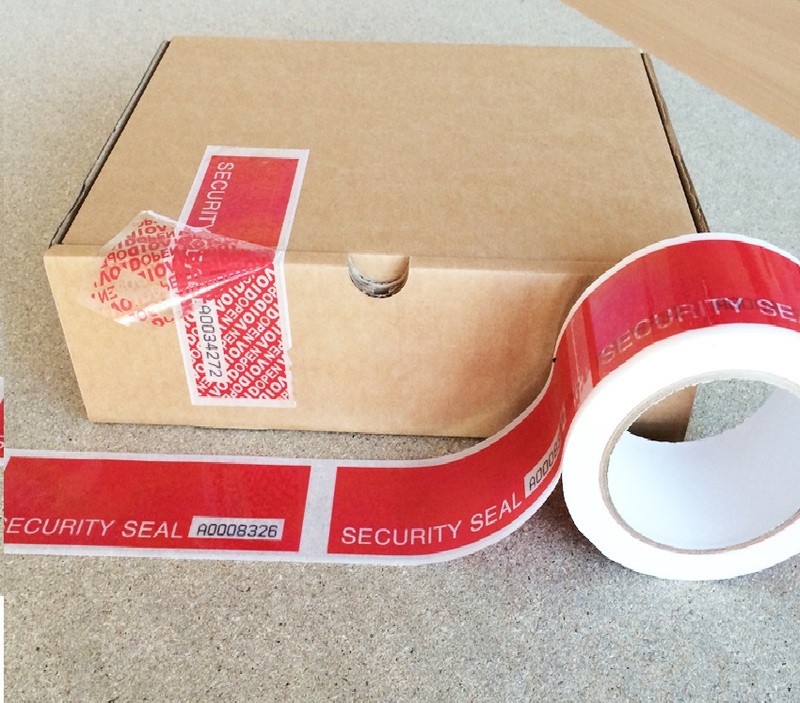 Our range of standard security tape and customised security tapes (from 36 rolls+) can be used on a range of cartons, crates and pallet as a cost-effective and easily applied security measure to inhibit attempts at tampering. Branded packaging tape can also give you an indication as to whether cartons have been opened and accessed, and can also provide an effective way of raising your company profile. Finally, security plug seals offer a simple and effective sealing option for packing creates or ALC's ("attached lid containers"). The Snap-N-Secure pallet seal is the only pallet seal on the market which addresses the most vulnerable point of pallet straps – the metal crimps. Application could not be easier; the seal simply clips around the banding with hand application. Any tampering attempts will cause the high-strength polycarbonate to crack at predetermined indication points, or shatter completely, ensuring tampering is obvious. The Snap-N-Secure can be applied to most standard steel or poly banding. Our custom printed packaging tapes are manufactured using high-quality PVC, hot melt or polypropylene materials, and available in a range of widths, lengths, colours and print options. Branded packaging tapes are suitable for sealing all kinds of parcels, cartons and boxes. We can also offer specialist bespoke tape suitable for use in outdoor environments, such as for pipeline ID applications. We can custom-print with customised repeating artwork, including logos, text print and simple illustration. 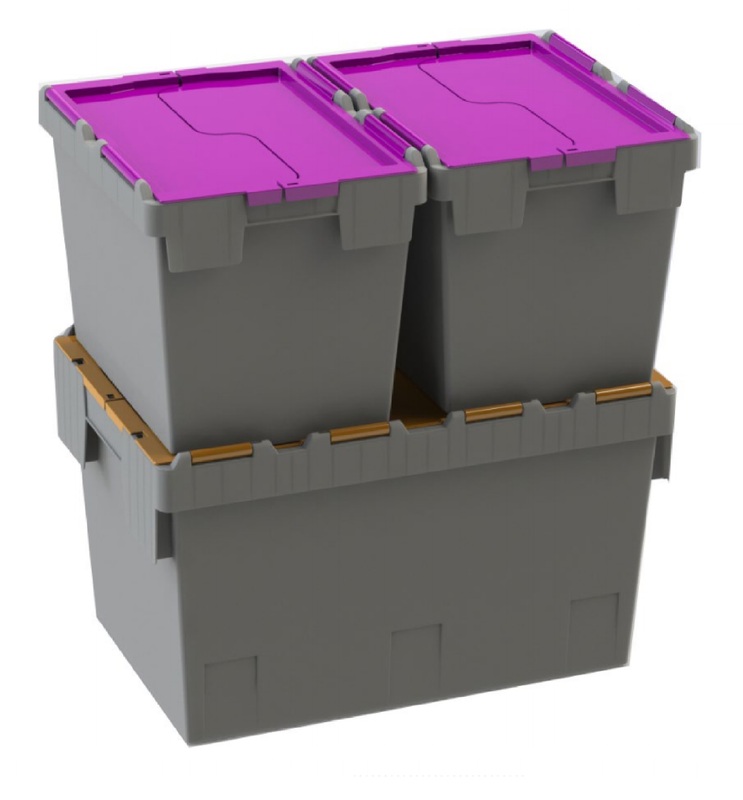 We supply a number of security plug seal products which are suitable for most types of ALC crates on the market from major manufacturers, including Linpac, Paxton, Alibert, ARCA and Buckhorn models. We can supply plug seals in plain, numbered, customised and paired seal options, to suit your particular needs. More than just a Security Seal Company! 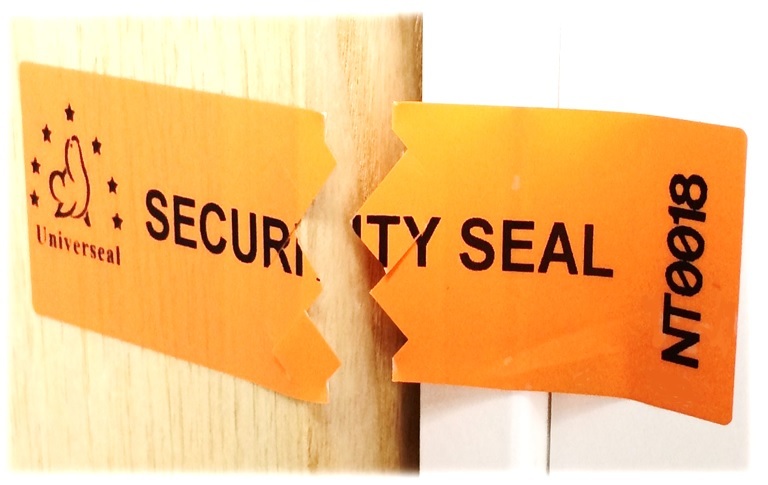 Universeal UK is a major manufacturer and distributor of tamper-evident security seals based here in UK; however, we have many other strings to our bow! 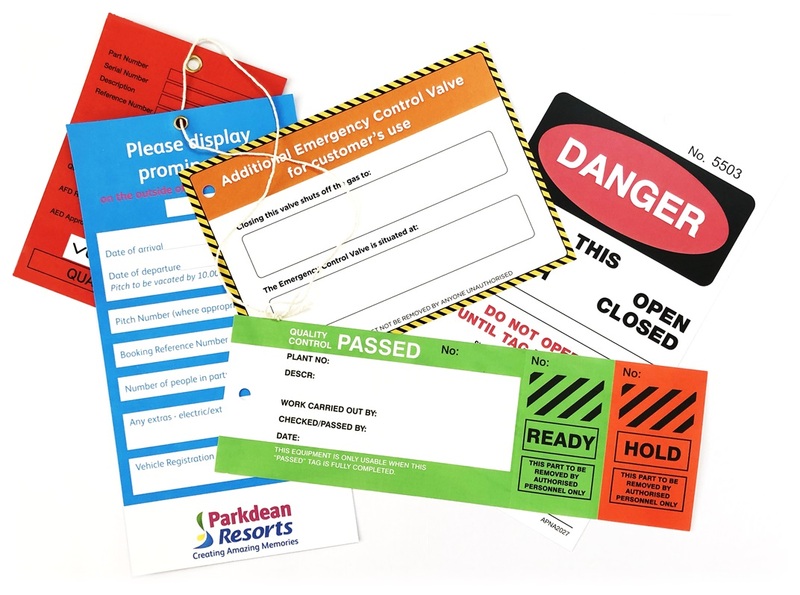 We are now a major provider of security and asset labels, identification ties, specialised ferrules and sealing wire for meters, as well as single-trip and reusable security cash and mailing bags. Further than that, over the past few years we have also worked closely with many customers on developing or sourcing safety lockout, storage and tag solutions for many other types of use. This includes products for the safe lockout of industrial equipment; inspection tags for incorporation within periodic inspection regimes; tote boxes for archival and retail storage; as well as ties and tags for food-contact applications. All of our products can be customised with bespoke printed information to suit your particular application and requirements. Please get in touch on [email protected] or 01829 760000 to see how Universeal UK can help. The pervasive use of smartphones in our modern world ensures that the taking of a photo or a video is as simple as reaching into your pocket; it is something that we all now take for granted in our day-to-day lives. However, the ease with which any individual can now take a photograph or video on their phone presents a major challenge to any business or organisation welcoming visitors to their premises, whilst also needing to safeguard their own security interests. Such privacy and security concerns come in many forms: for example, it could be a manufacturer who wishes to protect technical know-how, or a government or public agency that wishes to restrict knowledge of sensitive infrastructure, layouts or procedures. One solution to this problem is to ask visitors to surrender their phones, laptops or other electronics at point of entry; however, this is a rather blunt tool and comes with its own procedural headaches in regard to collection and re-distribution of devices. It is also risks offending visitors who understandably would prefer to keep valuables in their own possession. Universeal SecureCam tamper-evident camera security labels offer a more flexible and effective solution to camera phone security. SecureCam no photography camera labels are available in a range of sizes and colours, and can be placed over phone or laptop camera lenses quickly – preventing pictures or videos from being taken. Any attempt to remove security labels and then replace in order to take a photo with the camera will clearly be demonstrated by a ‘void’ message, which appears throughout the entire SecureCam label as soon as the label is removed. 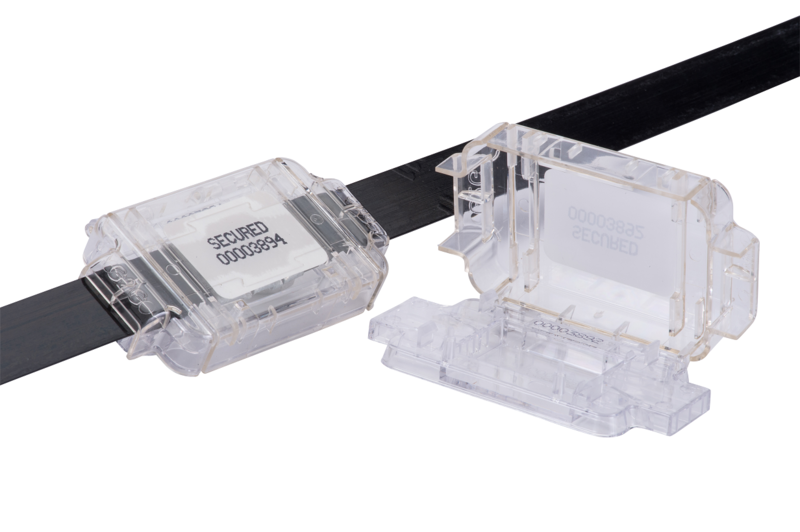 Our SecureCam labels are produced from a no-residue tamper-evident material, which means they do not leave any void material on devices once removed, and can be easily disposed of once no longer required. Each label is uniquely numbered, and application and recording of security labels can be easily incorporated into visitor registration identification procedures. 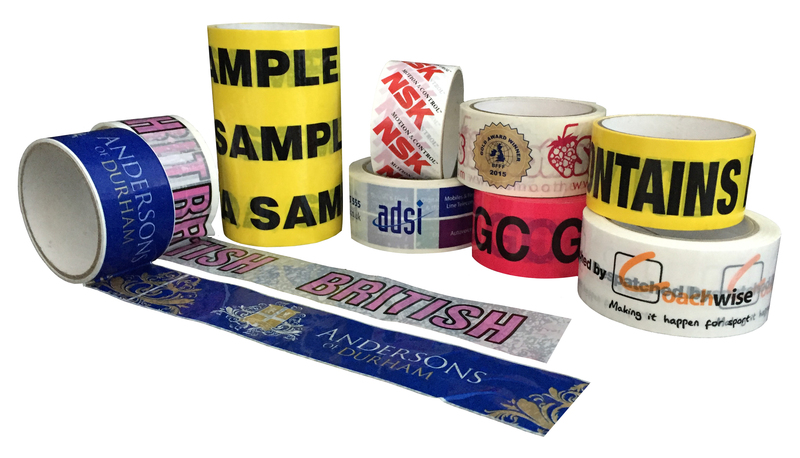 We offer SecureCam no photography labels in standard stock sizes, and can also customise for your own requirements; including your own custom size labels, company logo, unique marking, and security numbers. 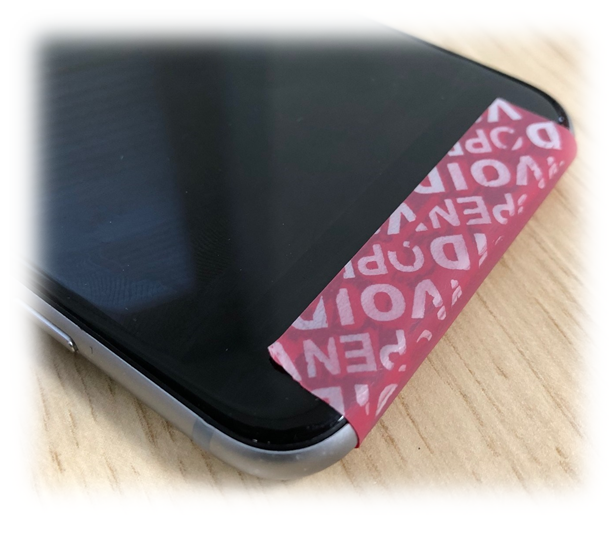 If you have security concerns over the use camera phones within your workplace or organisation, please give us a call today to discuss how Universeal UK can assist you with our no photography security labels. The security and safeguarding of large-scale events, such as sports stadiums and music venues, has never been more important, and those overseeing security procedures must continually review appropriate prevention and detection strategies to deal with threats posed. 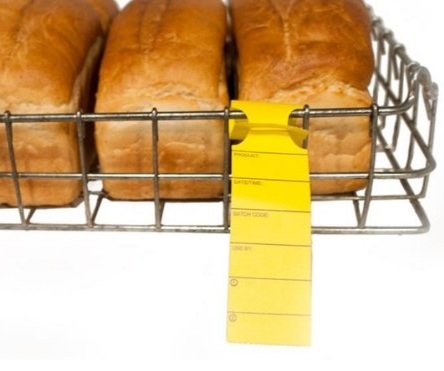 Universeal UK specialises in tamper-evident identification tags, security VOID labels and security seals, used throughout industrial and commercial supply chains to ensure integrity, protection of assets, and to reduce risk. Increasingly, such security seals are also being used as part of event security, particularly to aid in the screening of potential threats to sports matches, music festivals, concerts and other types of staged events. 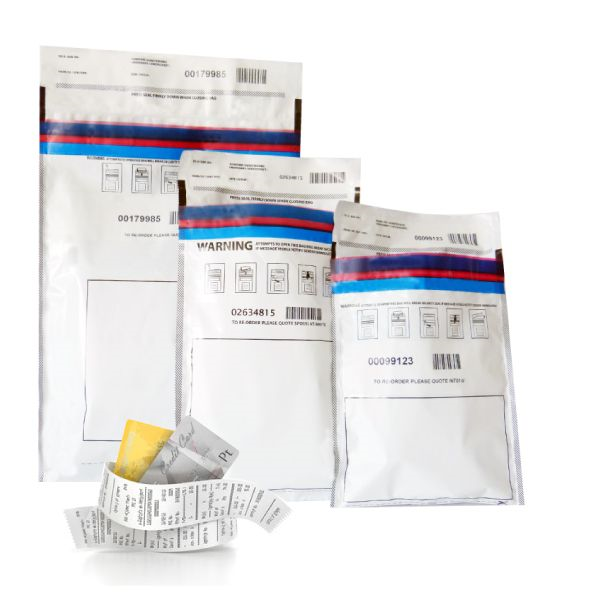 For example, our security seals can be used as bag security tags, to act as an indicator that particular bags have been screened and security-checked. Please give us a call on 01829 760000 or email [email protected] to discuss your event and how Universeal can help you.